The simplistic definition would be as the name suggests it’s the use of neuroscience for marketing by better understanding the consumer’s response to stimuli. How is neuroscience used in marketing? In the later part of 20th century medical neuroscience has advanced with high tech engineering. What would have once been the subjective guesses of a psychiatrist has now become more scientific. Many brain-disorders either birth defects or due to accidents can now be diagnosed more precisely. Over time as our understanding of these techniques grew we are now able to use these for Market Research to understand and evaluate marketing stimuli response. FMRI (Functional Magnetic Resonance Imaging) has been a breakthrough in locating the parts of the brain that activates in response to different stimuli. By identifying the blood flow to different parts of the brain scientists are able to identify which parts of the brain are responsible for different stimuli processing like sounds, vision, calculations, memories, pain, pleasure etc. 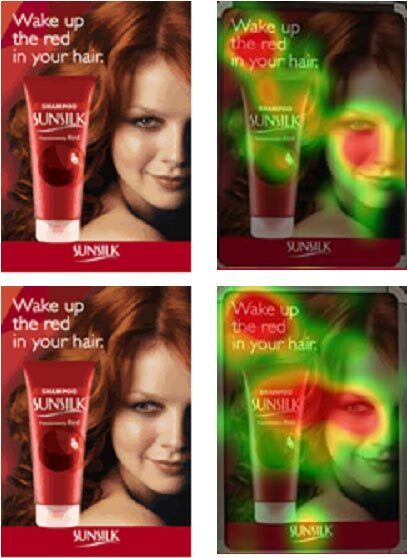 A consumer’s brain response to say an advert can be observed through FMRI. The observation helps understand the level of pleasure, engagement and also some qualitative idea on how to make it better. However due to the cost involved it is rarely used for regular Market Research. Another drawback of FMRI is the lack of temporal resolution. As FMRI works by tracking blood flow it is not fluid enough to capture changes in brain responses fast enough. Another high tech technique EEG (electroencephalograph) has become more affordable lately. EEG is the electrical activity of our brain captured through electrodes placed on our scalp. Our brain is an electro-chemical device. All activities of our nervous system are executed by sending electrical impulses. When a large number of neurons (brain cells) are involved in an activity the resulting electrical impulse can be captured by an EEG device. The nature of these impulses gives us a fair idea of the consumers' brain state while watching a TV commercial or tasting a product. EEG has both a good spatial resolution and temporal resolution. With EEG we can capture which parts of the brain are getting activated by the electrodes placed at various locations on the scalp. Also EEG devices have a frequency rate ranging from 128Hz to 2048Hz, meaning, we can capture brain responses several times within a second. Originally EEG was developed for clinical diagnosis of seizures, sleep disorders and similar behavioral disorders. With better understanding of EEG now we are able to use EEG for evaluating stimuli response, more on this later. Another recent advancement, a simple low tech nevertheless effective methodology is Implicit Association Testing (IAT). IAT is a measure of associations based on time delay of response. The idea is generally implemented as brands/products shown as images and attributes shown as text. The strength of the association between an image and the text is measured by the time delay of response post seeing the image with or followed by the attribute. Some of the other indirect techniques (not measured directly by observing the brain) include GSR and facial recognition. GSR stands for Galvanic Skin Response. The theory is that when we get aroused by stimuli we would sweat more and hence the conductivity of the electrodes attached to our skin will increase. 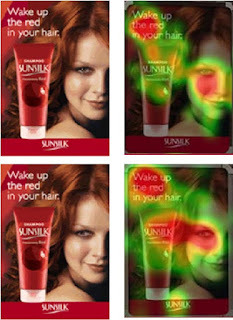 Facial emotion recognition was and is still being widely used especially for video ad testing. The system works by tracking multiple points on the face for muscle movements and sometime including pupil dilation. The relative movements of facial muscles compared to base state are fed into a probabilistic model which categorizes the facial state into one of the different categories of emotions. Eye tracking is a common technique which is used in conjunction with some of the other techniques mentioned here. Eye tracking though debated as not being a true sub conscious measure; for the most part we see what we see without constantly thinking about what to see or not to see. This helps understand which parts of a video frame, static advert or packaging attract immediate attention and/or engaging. In this famous example, as you can see when the model looks straight most people look at only the model. However when the model looks sideways towards the product the respondents look at the model and then turn their gazes to the product. Currently neuromarketing is more into post development evaluation. Overtime as the learning builds up and combining that with machine learning neuromarketing will take up an active role at the development phase of products or marketing materials. This is just an overview of the most popular methods used in neuromarketing. Stay tuned of more detailed articles on the good, bad and ugly of each of these different techniques and how they are used.